Do not miss another Miss Selfridge voucher! Simply leave your e-mail address and we'll always keep you informed of new vouchers for Miss Selfridge. Offer condition: Enter code GIMME17 at checkout page to apply discount. 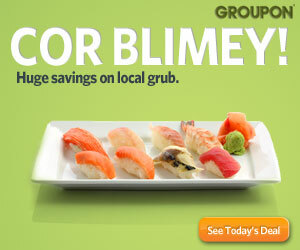 Valid on orders over £30. Orders must be made before 9pm. Select ‘Friday’ when prompted, for next day delivery. Offer condition: Order by 8pm for free Next Day delivery. Offer condition: Free standard delivery, no minimum spend, UK only. 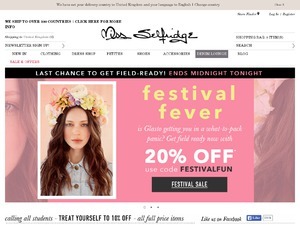 20% discount on EVERYTHING at Miss Selfridge! Offer condition: Applies to online only. Offer condition: Single use, cannot be used with another code, online only, standard delivery only. Offer condition: Online only. Valid on sale only. Offer condition: Valid on full price items only. Offer condition: Order by 9pm for next day delivery. Latest voucher code valid at a time of promo publication was entered to be working from 2018-03-02.